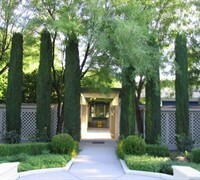 The Italian Cypress has erect branches forming a very narrow columnar habit of growth. It is less than a tenth as wide as the tree is tall. It has an extremely unique form that provides a classic distinction for Mediterranean themed landscapes, tall screens and framing accents. 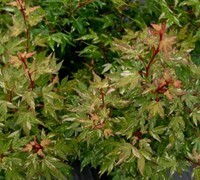 The foliage grows in dense sprays that are rich green in color. The individual leaves appear scale-like and are produced on rounded shoots. The Italian Cypress is perfect for use to fill those narrow spaces in foundation plantings of taller homes and buildings of at least 20 feet in height. It also makes a quite attractive specimen or can be planted in a row to form a tall and narrow hedge. It also lends itself well to containers and spiral form topiary. Plant Italian Cypress in very well-drained soils and full sun. No pruning required. Feed in spring with a well-balanced shrub and tree type fertilizer.